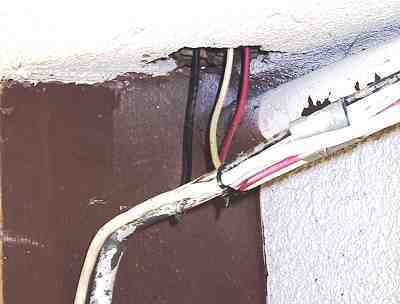 This is a good opportunity to bring up two critical point regarding wire terminations: abrasion and strain relief. Connections, to be "mechanically sound" have to have some means of isolating them from any 'pulls' to the wire. And wires must be protected from anything that they might rub against. As far as ranges are concerned, there is NEVER enought room behind the range for the thing to plug in. I would much rather see ranges made with a recessed male "power inlet" plug, and room behind the range for at least 3' of SO extension cord! Any range makers care to comment? 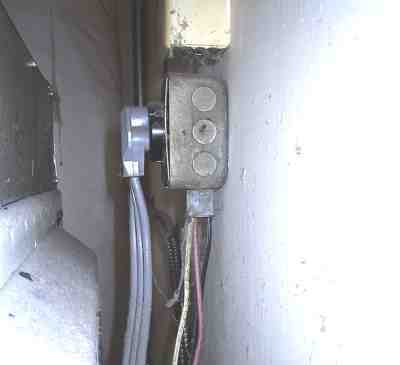 422-32(b) considers the removal of a range drawer 'accessible' to be able to meet 422-32(a), which would keep the breaker panel in 422-31 (b) out of the kitchen.